The National Association of Experts, Writers, and Speakers™ currently features Doctor Jose Gomez in the April 19th Edition of Forbes as a Trendsetter. Orlando, FL – May 10, 2016 –Jose Gomez, M.D. President of Doctor Jose Gomez, Inc., can be seen featured, alongside other professionals, on the full-page spread entitled “Trendsetters” in Forbes magazine. The feature presented by The National Association of Experts, Writers and Speakers™ lists Dr. Gomez as a trendsetter in today’s economy and offers a tip from him on how he achieved this status. The National Association of Experts, Writers and Speakers™ is an organization founded to honor experts around the world for their contributions to education, enlightenment and the advancement of business. Jose Gomez, M.D. has been a former professor of Psychiatry and Director of the Medical School at the Technological Institute of Santo Domingo in the Dominican Republic, his native country. He is a Founding Fellow of the Institute for Coaching at Harvard University, Medical School. He has been awarded the qualification of one of the top Psychiatrists in America for seven consecutive years. 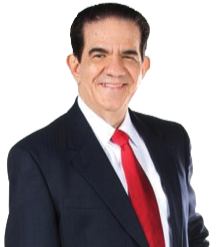 Dr. Gomez is a dynamic motivational speaker and he has written or co-authored four best-selling books. He has been featured in Newsweek, Forbes, and as well on TV stations affiliated with CBS, ABC, NBC, and FOX. He has been seen in many American newspapers including the Boston Globe and The Miami Herald. Learn more about Dr. Gomez at doctorjosegomez.com.